Before you can make the decision to open a business, you have to have a good handle on what you are going to charge for your goods and/or services. People forget how important it is to figure out their pricing in advance of deciding to open a business. 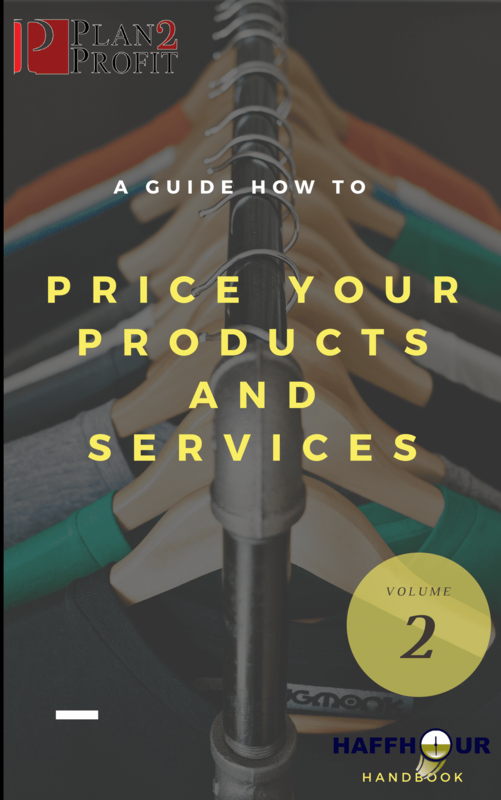 In this 13-page Haffhour Handbook we will teach you the ins and outs of pricing – understanding the difference between costs and margins and building a pricing strategy that will help you show a profit. We’ll make you think before you set a price. It’s only your money.